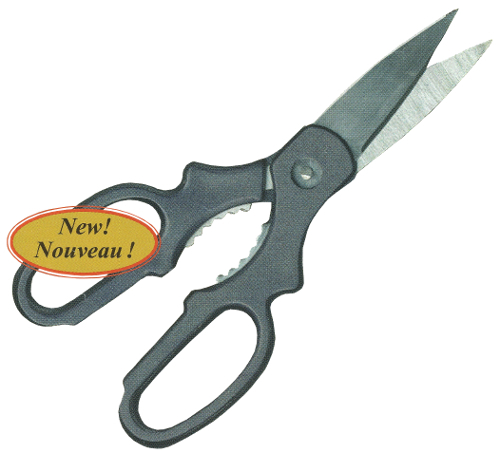 Robust and sturdy The StarClassix Scissors have stainless steel blades serrated for improved grip. The center section is also designed as a nutcracker or as a crab or lobster tool. Scissors With Jar And Bottle Opener Nutcracker text, images and video are copyright.